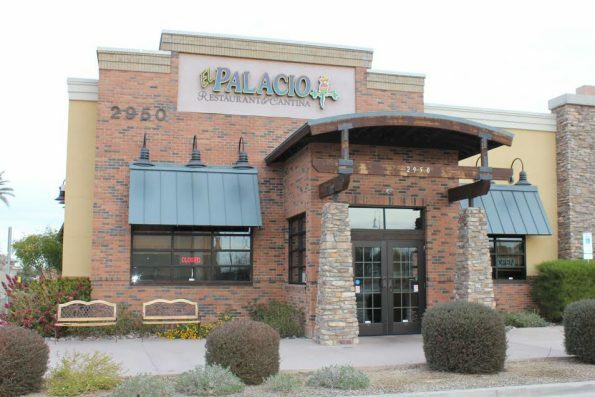 El Palacio Mexican Restaurant has undergone some minor and major interior changes including new flooring, paint, décor and more. With an updated restaurant look comes an updated menu. Various items will be added to the menu including: Flash fried cauliflower nachos $9, Sonoran Dog $7 on locally baked bread, Salmon Tacos $14, Tortas $8 , Picadillo Fried Empanadas $7 , Fried Chorizo Quesadilla $7, Lengua Tacos $8 and many more. October 1: Enjoy a Mexican Brunch Feast cooking class showcasing chilaquiles, huevos rancheros, margaritas and micheladas starting at 10:00 a.m. To reserve a spot visit: http://bit.ly/2aZ8JfE cost is $15, includes class, brunch and a cocktail. Other fun happening for Chef Serrano and El Palacio! El Palacio is taking part in the 5th annual Rockin Taco Street Fest, which will take place on Saturday, September 17. The restaurant will serve as a ticket hub and will also sell food at the event. Chef and Owner Anthony Serrano will again compete in the World Food Championships, November 9-13 held in Orange Beach, Alabama. Serrano is competing for the third time! In 2013 Serrano won 2nd place, 2014 he was 14th and a culinary fight that was an ancillary event at the WFC.